She then transitioned to become President/ CEO of FPG International and then Acoustiguide. As President of FPG, Barbara developed one of the first cd and on-line delivery systems for photographs and was recognized as an early champion of the portrayal of non-white models in commercial photography. For this, President Clinton presented her with the Business Enterprise Award for “acts of courage, integrity and social vision.” The story of how she led FPG is a Harvard socially responsible business case study. The company is now part of Getty Images. Barbara has served as Chair of the Federal Reserve Bank of New York’s Small Business and Agricultural Advisory Committee and helped to develop Silicon Alley as a member of the board of the Union Square Partnership. Barbara currently is a member of the Suffolk County Planning Commission and serves as co-chair of the county’s Farm Committee. She is a past president of the Financial Womens Association and helped found the New York Women’s Agenda and New York Women’s Foundation. She won the Mayor’s Volunteer Award and was featured as NY1’s “New Yorker of the Week” for her work with inner-city schools. In addition to her work at Columbia, Barbara currently is a group chair for Tiger21, the peer learning group for entrepreneurs who have sold businesses for $10 million or more. She is an angel investor and serves on the boards of a number of privately held companies. 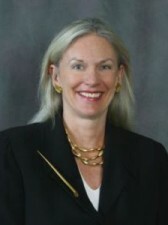 She is certified as a master coach by the Hudson Institute of Santa Barbara and trained in facilitation and mediation. Barbara has an Economics and Philosophy degree from Goucher College.